Feel Rite Fresh Markets in Hamburg is one of the only places in Hamburg where you can find such a large selection and variety of vitamins and supplements. 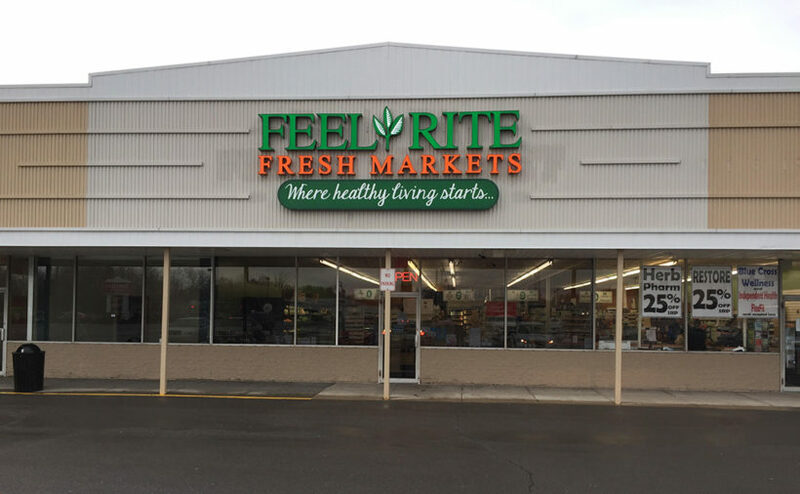 At Feel Rite Hamburg, as with any Feel Rite location in Western New York, you’ll find a wide range of organic, eco-friendly, natural and local products as well as 100% organic produce. Special to the Feel Rite Hamburg location are features like a larger health and beauty department, a wide selection of local, free range poultry, eggs and meats and the largest selection of natural and organic pet food, supplements, toys and products in all our stores.